Prescott Apartments is a class A multifamily project located in Seattle, Washington. 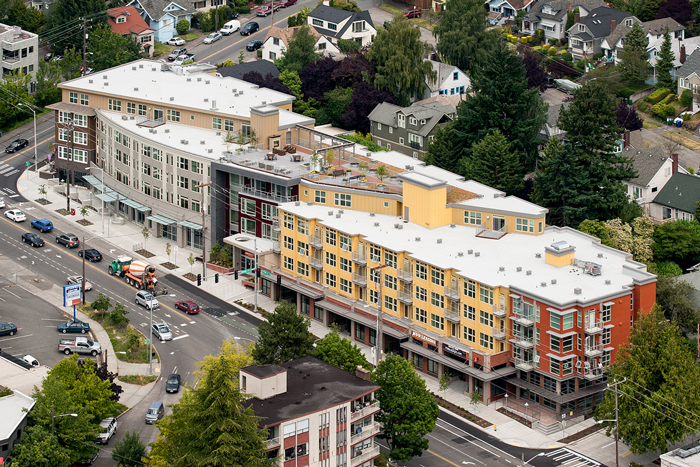 The project is located in the Wallingford neighborhood, just across Lake Union from downtown Seattle and consists of 154 residential units (including 7 live/work spaces), +/- 17,405 square feet of retail space, and below-grade parking for 184 cars along the vibrant corridor of Stone Way North. Many units offer views of Lake Union and the downtown Seattle skyline. The total built area of the project is approximately 207,000 GSF and it was built in 2012.